There are a myriad of different things in our modern world that act against our health; and that’s before we even begin to look at healthy eating. 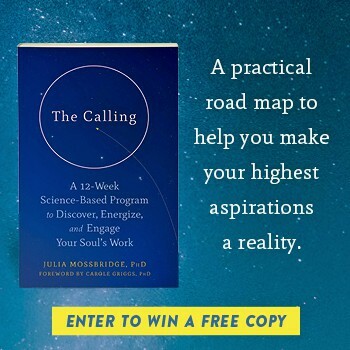 For optimal wellness, the least that we need to do is ensure that every mouthful of food we eat nourishes and supports our continued health and well-being. Today I am sharing a deliciously easy recipe – that not only leaves you with a well satiated feeling, but is also jam-packed full of high quality nutritional goodness. As always, I recommend that you use organic produce to give yourself (and the planet) an extra infusion of goodness. Carrots are especially high in anti-oxidants and vitamin A (vitamin A is great for healthy vision, skin and immune support). Ginger is one of the most common beneficial spices out there, with a powerhouse of immune supporting properties, lending itself so graciously to any sort of conscious health-promoting cuisine. Lentils give a healthy dose of plant-based protein. Lentils are a popular member of the legume family, well known for helping to reduce cholesterol and lower blood sugar levels. Not only do they have impressive levels of folate, iron, phosphorous, copper, manganese, they also help out with a slow release of energy via their complex carbohydrate structure. Coconut provides a flavoursome creaminess, whilst imparting a foray of support for your body in the process. We need healthy fats for optimal brain and nerve function; for growth, development and healthy skin; for transporting fat-soluble vitamins (A, D, E & K) throughout the body; for energy and essential fatty acids. Coconut is a plant-based fat that provides healthy short chain and medium chain fatty acids, shown to support health. Not only that, coconuts also contain considerable amounts of lauric acid, which is the main fatty acid found in human mother’s milk. Put the water in your soup pan/pot and turn on the heat. Chop carrots into small pieces and add to the pan. Grate your fresh ginger into the pan. Add the sea salt, passata and paprika. Once it has come to the boil, turn down the heat and allow to simmer for about 20 minutes. Add the coconut cream about a minute or two before the cooking time is complete. After 20 minutes the lentils and carrots should be cooked through. Blend until creamy smooth. This works best with a hand (immersion) blender, where you can do it right there in the pan. Once blended, roughly chop your fresh herbs and mix into the soup and serve. An inviting fragrance of cardamom, warming hint of ginger, earthy mushrooms, tomato, coconut and fresh herbs weave together to create a delightfully pleasing soup. I use the seeds from the cardamom pods, which imbue a richer, more aromatic flavour than it’s pre-ground version. Cardamom and ginger (like many quality herbs and spices) unleash a myriad of health benefits. The wonderful thing about this celeriac soup is that it is so simple and nutritious. I use dried kaffir lime leaves and lemon grass (available in good health food and herb shops) to bring a gentle infusion of Asian flavours into the blend. I also use celery stalks and leaves as well as coconut milk for an all round filling, delightful healthy soup. 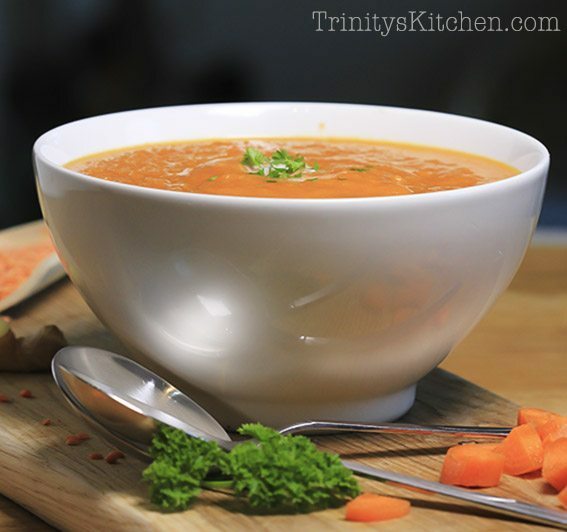 For a handy print-out version of the Carrot & Ginger Wellness Soup, visit Trinity’s Conscious Kitchen (and scroll to the bottom of the page)….